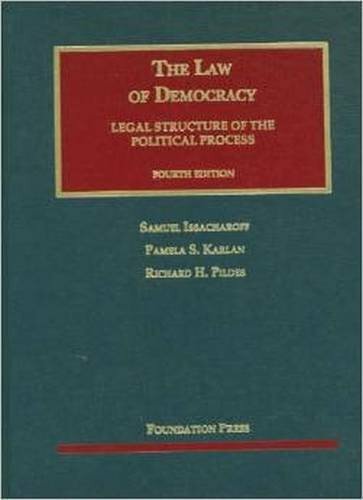 This text provides a systematic description of the legal construction of American democracy. Many of the revisions to this edition concern making note material more concise and reducing coverage of issues that have become less important as the frontiers of the field moved in new directions. This fourth edition covers the historical development of the individual right to vote; current struggles over racial gerrymandering; the relationship of the state to political parties; the constitutional and policy issues surrounding campaign-finance reform; and the tension between majority rule and fair representation of minorities in democratic bodies.